Boca Juniors landed in Spain on Wednesday as they prepare to end the long-running Copa Libertadores final saga over two weeks after a fan assault threw the fixture into doubt. Boca players were greeted by an army of fans outside their hotel in Madrid as they prepare to finally dispute the second leg of the final against arch-rivals River Plate on Sunday at the Santiago Bernabeu stadium, with the scores level at 2-2 after the first match at Boca's La Bombanera ground almost a month ago. 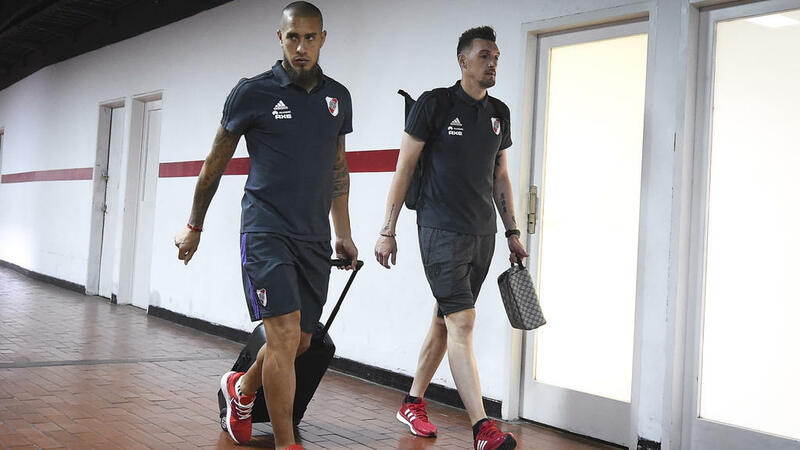 The match has been delayed ever since River fans attacked the Boca team bus hours before the match was supposed to take place at River's El Monumental stadium on November 24. River jetted off from Buenos Aires on Wednesday afternoon, with Boca already in the Spanish capital in order to contest the decisive leg of the biggest match in Argentine football history at a venue at which they had both initially refused to play. Over the weekend River joined Boca in saying that it was "incomprehensible" that the game had been moved to Spain, insisting that the club bore no responsibility for the "faults in the security operation" for the high profile fixture in Buenos Aires. On Tuesday Boca hero Juan Roman Riquelme slammed the decision to move the match away from Buenos Aires to Spain, saying that it would make one of the world's fiercest derbies "the most expensive friendly in history". "The final is losing a bit of its magic," Cristian Farfalla, a young Boca Juniors supporter who made the transatlantic trip from Argentina, told AFP. "Honestly, I would have preferred the game to be played over there (in Argentina). But on the other side, I have the chance to be able to come and see it, which I wouldn't normally have been able to do." On Monday the two clubs each put 5,000 tickets on sale to supporters in Argentina at 3,600 pesos (84 euros), or a quarter of the average monthly Argentine salary. Meanwhile in Spain 20,000 tickets were put on sale for Boca fans outside Argentina on Tuesday, and a source close to the match organisers told AFP that the same number of tickets would go on sale to River supporters who live abroad.